Set amid the Olde World charm of St Aubin Olanda is a smart, friendly, centrally heated private guest house overlooking the beautiful St Aubin's bay and is only a few minutes walk from the beach and picturesque harbour. St Helier is approximately ten minutes away and is serviced by a regular bus service. For the more energetic, St Helier can be reached by walking the complete length of the beach. Guests of the Olanda will be assured of a warm and friendly welcome from the resident proprietors who will endeavour to make your holiday a enjoyable one. Breakfast is served in a bright attractive dining room and other amenities include lounge, cocktail bar and a small garden. The bedrooms are bright and comfortable all with tea and coffee making facilities and televisions. All rooms are en-suite Interconnecting rooms are available for families. 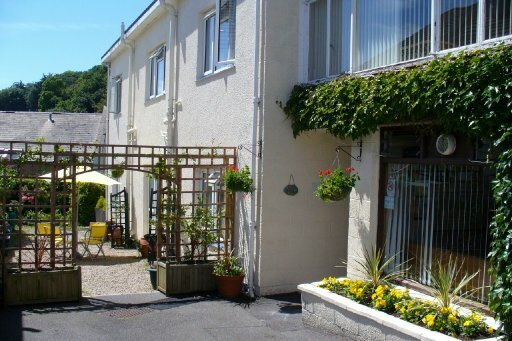 Accommodation is on a bed and breakfast basis and bookings are accepted for any days of the week.